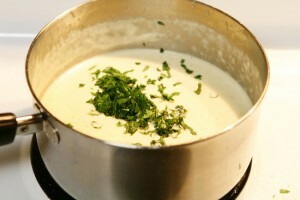 Alfredo Sauce recipe by swtmanoo at DesiRecipes.com. In a medium saucepan combine whipping cream, butter or margarine, and grated Parmesan cheese. Cook over medium low heat until smooth.